Sports injuries are all those diseases that are caused by sport. They are characteristic tendinitis, fractures, strains, sprains and bursitis. These are injuries that can affect both the elite athlete and the population in general that performs some type of physical exercise. 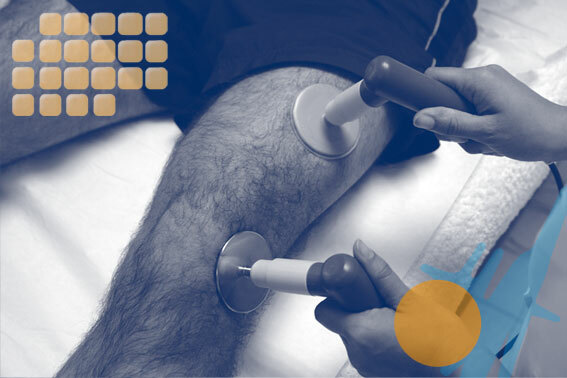 Capenergy is indicated in the treatment of sports injuries with a high level of satisfaction. In the picture above, we see an ultrasound taken from the leg of a sportsman. The right image shows the presence of fibrosis in the muscle (medial calf) before starting treatment. The picture on the left shows how most of fibrosis disappeared after only six sessions over a period of twenty days.